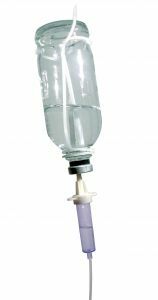 "To be effective IVIG also needs to be used in high doses since only one per cent of the injected IVIG is suppressive in people." From Addison’s disease to Rheumatoid Arthritis, Crohn’s disease to Multiple Sclerosis — the list of crippling autoimmune diseases is long and they affect millions of people world-wide. But supplies of the plasma-based treatment that has become a lifeline for sufferers are limited because it is very expensive and difficult to make. Many immune-deficient patients are dependent on the clinically approved plasma protein replacement therapy — Intravenous Immunoglobulin Therapy (IVIG). Seventy per cent of the global supply of IVIG is used to treat autoimmune disease, but this treatment requires thousands of carefully screened donors. Now experts in the School of Biology at The University of Nottingham have developed a synthetic replacement for the effective part of the antibody — the Fc — which is responsible for dampening the inflammation seen in autoimmune disease. The results of this research, which could lead to a new form of treatment for autoimmune disease, have been published online in the new academic journal Scientific Reports. 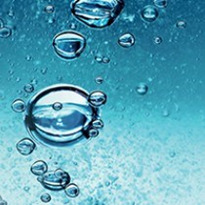 Professor Richard Pleass and Professor Mike Doenhoff led the study by the Institute of Genetics in the School of Biology at The University of Nottingham. Professor Pleass said: "The trick that makes these reagents better at potentially curing autoimmune disease is the fact that they are polymeric - made of a repeating unit of proteins. This makes them much better at suppressing the pro-inflammatory processes involved in causing autoimmune disease than the single molecule antibodies contained in IVIG." Existing IVIG products are used every day with great efficacy in treating autoimmune diseases such as Guillain-Barre syndrome and immune thrombocytopenic purpura (ITP) in children. However, to produce IVIG every single one of the 3,000 donors has to be screened for infectious disease and degenerative disorders and the process of purifying antibodies from these individuals is very costly. 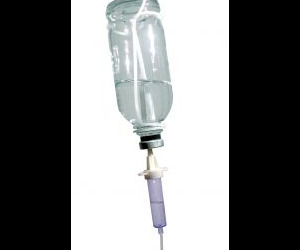 To be effective IVIG also needs to be used in high doses since only one per cent of the injected IVIG is suppressive in people. This is because these antibodies are single proteins which have only a mild effect on the inhibitory receptors responsible for switching off inflammation. The newly described process of synthesising Fc should help overcome these problems. The research was carried out by Professor Pleass, Professor Doenhoff and their students in collaboration with the Chinese Academy of Sciences, Shanghai Jiao Tong University, the University of Oslo and the University of Alexandria.